Germany is an influential country that in many respects, despite superficial appearances, operates very differently from the USA and Britain. Understanding the nature of the differences will help you to achieve good relationships with the people you meet. An informed and sympathetic approach is particularly valuable if you are visiting Germany for more than a few days as a casual tourist and need to understand how the Germans live and work. 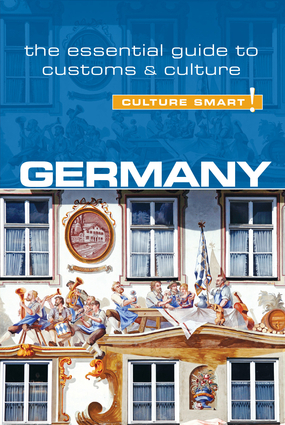 The German people have a strong sense of social etiquette and responsibility, and the guidelines given in these pages will prepare you to fit in with the social rules and regulations they live by in order to ensure a secure and harmonious lifestyle. Culture Smart! Germany will help open doors for you and will, we hope, lead you toward a lasting relationship with this culturally rich, varied, and inventive people at the heart of Europe. Enjoy the journey! Keep in mind that the Germans still maintain a degree of formality in greetings. Handshaking on arrival and departure is the norm, as is the use of surnames and titles. If you are unsure of a persons title it is considered good form to ask, and not to be in a rush to move to the more informal form of address.